RedCircle joins the fight against teenage obesity: New study shows overweight teens exhibit lower intelligence; authors call for an "early and comprehensive intervention"
RedCircle's Teen Weight Management Program is not a diet or drug treatment. It is a multidisciplinary, long-lasting approach to weight management which empowers overweight teens to control their weight for a healthy long life. 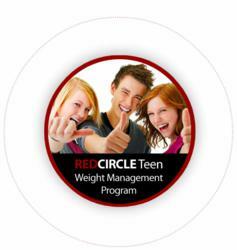 RedCircle Personalized Weight Management Inc., a subsidiary of American Rejuvenation Centers, announces the launch of their Teen Weight and Wellness Management Program in an effort to help overweight teens struggling with MetS and/or obesity. The program incorporates RedCircle’s seven-component scientific system to ensure each client receives a weight and wellness management program designed specifically for his or her cardiometabolic profile and genetic makeup. A new study published in Pediatrics shows that overweight or obese teenagers who are suffering from Metabolic Syndrome (MetS), an issue caused from lack of exercise and being overweight, have lower scores than healthier teens in spelling, math, attention and mental flexibility, as well as lower intelligence overall. While teenage obesity isn't a new phenomenon, the startling results of the study show differences in brain structure for overweight teens when compared to their peers who are at a healthier weight. The changes are attributed to Metabolic Syndrome, which is characterized by five factors: high blood pressure, low good (HDL) cholesterol, high triglycerides, abdominal obesity and/or pre-diabetic levels of insulin resistance. The study included 49 teens with MetS and 62 teens without, all of whom were similar according to socioeconomic status, age, grade, gender and ethnicity. The results were both significant and surprising, with those diagnosed with MetS performing 10% lower than the control group, as well as suffering from a 10% decrease in the volume of the hippocampus region of the brain. 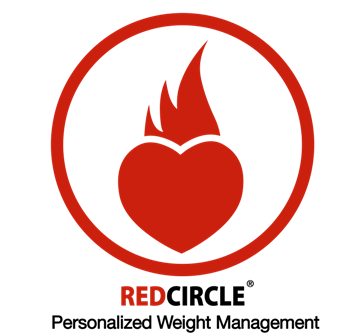 RedCircle's Teen Weight Management Program's seven-part system begins with each client's initial assessment, which includes cardiometabolic profiling, genetic testing, advanced body analysis and cholesterol testing. After determining the diet and workout plan custom-tailored to fit each client, RedCircle offers meal planning, unlimited coaching and accountability, and even a piece of workout equipment of the client's choosing. Each and every individual is monitored weekly by doctors and clinic staff to ensure that the client's goals are being achieved. By following the RedCircle Teen Weight Management Program, teens can take matters into their own hands and lower their risk factors for all five of the MetS criteria. By learning healthy habits and good lifestyle choices, teens will be equipped with the tools necessary to ensure that they can be fit and healthy not only today, but for the rest of their lives. RedCircle Personalized Weight Management Inc. is a subsidiary of American Rejuvenation Centers (Amerejuve) headquartered in Houston, Texas. Supported by cutting edge medical technology and distinguished doctors, RedCircle is a Personalized Weight Management Program based on an individual’s resting metabolism, genetic blueprint, cardiometabolic status, fitness, activity and stress levels, and lifestyle. Unlike the “one-size-fits-all” diet programs in the weight loss industry which only focus on dietary intake, RedCircle is a personalized program and goes beyond dietary interventions. For more information on RedCircle, please visit http://www.myredcircle.com or call 713-781-7332.